As we’ve mentioned before here on our blog, your resume is a key piece of the hiring process, since it is, essentially, your “fingerprint” or business card when applying for a job. Your resume gives a potential employer information about your background, your skills and qualifications, references from those who have experience working with you, and even your educational history…or at least, it should. Unfortunately, many applicants aren’t fully aware of what should/shouldn’t be included on their resume, and often turn in a resume that is less-than-impressive and could actually cost them a job opportunity instead of helping them get hired. At PHR Staffing Solutions, our goal is to see you get hired quickly, in a job that fits YOU. That’s why we want to make sure your resume is dressed to impress, and will bolster your efforts in finding employment. So, what are the essentials when it comes to putting together your professional resume? Detailed contact information. Sometimes we see a resume come through with contact information missing altogether, or only partially filled in. 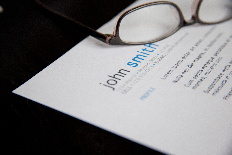 Your resume should offer as many points of contact for employers and HR staff as possible. At the very least, you need to include your phone number (one that you have access to continually, like a cell phone) and your current email address. This information is key since the next step following your resume is usually a phone call or email to either request an interview by phone, or schedule an in-person interview. Missing this call could end up making you miss out on a great opportunity, so put emphasis on your contact information when creating your resume. Work history and experience WITH REFERENCES. No, employers don’t need to know that you were the neighborhood dog-walker at age 14, or worked at the local ice cream stand in high school…but they do need a chronological and detailed list of all relevant work experience from college and adulthood. This means you need to include the place of employment, your position within the establishment, the dates of employment, and any important jobs or tasks you managed while working there. If possible, include at least one reference from each place of employment listed, since these will be valuable to those reading your resume and considering you for hire. Qualifications and accomplishments. This is where you need to have a basic understanding of the job for which you are applying. While HR staff hiring for a position as a forklift driver won’t necessarily find value in your experience as a community volunteer and group leader, those who are hiring for a management position within a local company would find that experience beneficial. Regardless of the job, your resume should always include any educational background (degrees, certifications, etc. ), in addition to any awards or accolades in your name. However, experience regarding volunteer work, outside experience, etc. can be tailored to fit the job you are aiming to get. Overwhelmed with your resume? No need to worry! PHR Staffing Solutions is here to help. We will work with you to tailor your resume to fit an opening that works best for YOU, and then support you through the interview and hiring process until we are sure that you’re set up for success and ready to move forward on your own. When it comes to building your career, we are the scaffolding to give you the best possible chance of long-term achievement, and since we work with quality companies throughout the greater Polk County area, you can know that you are in good hands. Give us a call or apply for one of our current openings online!